All About Eggs; Part 1: What Kind of Chicken Lay Those Eggs? 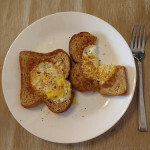 We get so many questions about eggs, I decided it was time to do a series of posts on them. Let’s start with the chickens. There are three basic types of chickens, meat birds, dual purpose, and layers. Although meat bird breeds lay eggs, the birds are not long lived and the number of eggs they produce are not conducive for using them for egg production. Dual purpose breeds can be used for egg production or can be butchered for meat. 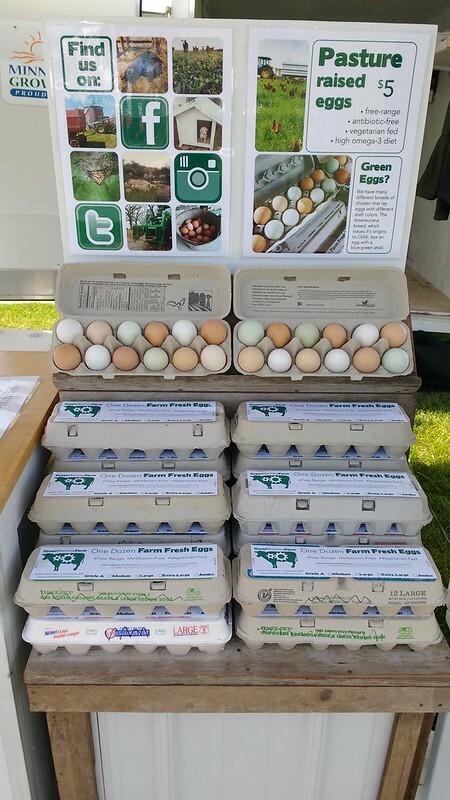 They will not lay as many eggs as breeds in the layer category, and won’t be as heavy as a meat bird, but serve backyard farmers well. Laying breeds tend to be smaller bodied birds that require less feed, but because of their smaller size are not desirable for meat production. We keep mostly dual purpose chickens, with a few layer types acquired for other qualities we desired which I will explain later. When considering what breeds we want as layers, there are several factors to consider. 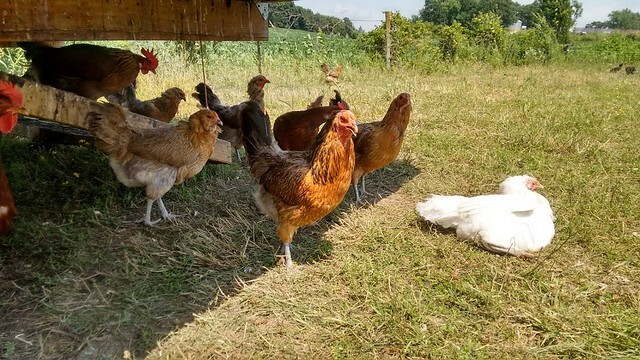 Since we use pasture based system, we want chickens that are good foragers. Because we live in Minnesota, we also need to think about how they fare in a cold climate. Do they lay well during the winter? 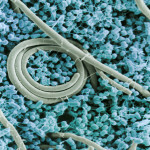 Do they have large combs, which may lead to frostbitten parts? Are they gentle? Also, because we are in the egg “business” their tendency to broodiness is important. When a hen is broody, she is trying to hatch eggs. She doesn’t lay for many weeks, neglects her own health, and takes up space in the nest boxes so other chickens can’t lay. Egg size and number is also breed determinate. We currently have 3 breeds of chickens that seem to work well for us. Our main breed is a Rhode Island Red. 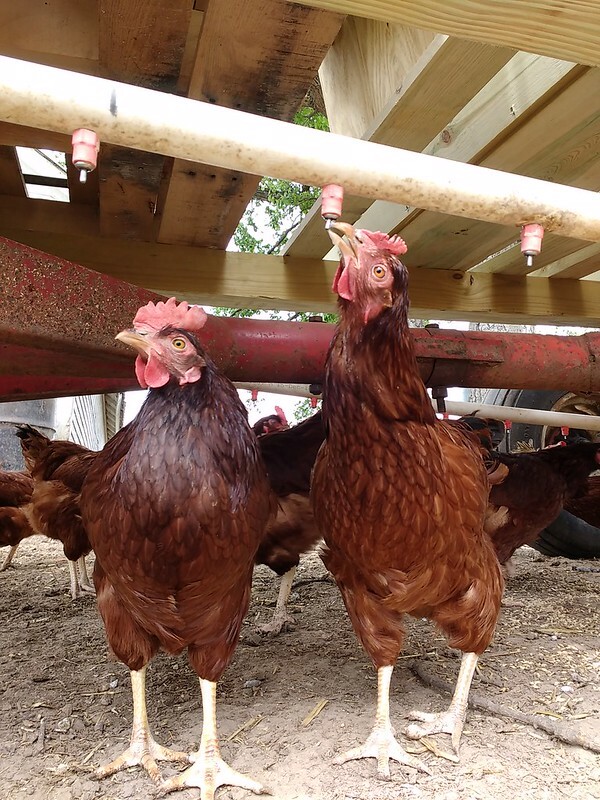 They are a gentle, dual purpose, hardy, brown egg layer, that does well on a pastured system. We also have Ameraucanas. These chickens lay the blue or green eggs you see when you get a dozen of our eggs. They don’t lay as well, but forage well, endure our winters and are gentle. We put up with fewer eggs and their tendency to broodiness because we really like having diverse colors of eggs. 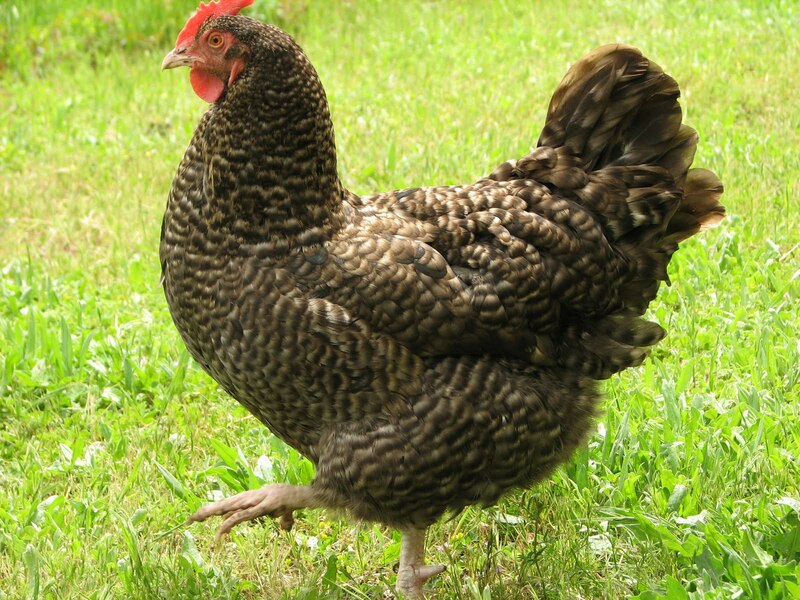 Our third breed is the dark Leghorn, which lays white eggs. White Leghorns are typically used for industrial egg production. We chose the dark Leghorns so their coloration wouldn’t make them as much a target for predators while out on pasture, but also because Leghorns are very nervous birds and we hoped they might act as an alarm system for the rest of our flock. We are adding a fourth breed to the line up for next year’s eggs. It is the Cuckoo Maran, a breed that lays a dark chocolate colored egg. This will expand our color variations even more. Think of how cool this would be for natural Easter eggs. Our Cuckoo Maran are not laying yet. On average, it takes about 6 months for a chicken to start laying. Chocolate colored eggs beginning this winter, folks. Did you ever wonder why sometimes all the egg vendors have a lot of eggs and not many at other times? There are several reasons for this. 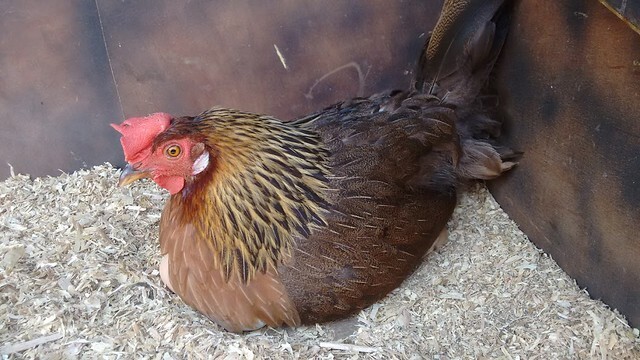 Most hens lay efficiently for two laying cycles. However, after two years, there is likely to be a decline in productivity. Once they start, good layers will keep laying for about 60 weeks in their first cycle and then perhaps 50 weeks in the second cycle. Between those cycles they will molt (lose their feathers and grow new ones), during which time laying ceases or drastically reduces. The molting cycle can last anywhere from 4 – 12 weeks. During winter, once daylight drops below 12 hours, production can decrease and may stop altogether. 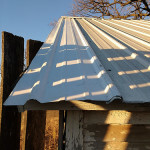 To prevent this, some farms install lights in sheds to maintain light for 12 – 14 hours a day and trick the birds into thinking its still daytime (so they keep eating). That’s not a farming practice that we think is appropriate. Daylight in Minnesota starts increasing early in the spring (March) and decreasing early in the fall (September). So natural egg production stinks between the months of September and March. Stay tuned for Part 2; What Makes Our Eggs Different? Interesting information about the types of birds, and why you use them. 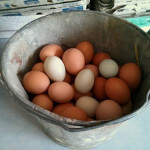 We always like the different color eggs, and have never found them to be noticeably different once they are being used. Regarding using certain breeds to be able to sound the alarm when threatened – would you be able to add a few barnyard geese to the fold? They do seem to be pretty feisty, and I think it would have to be a very determined predator to go up against a big, annoyed gander. We never thought about geese. I wonder how they would do with our constant moving of our chickens. I wonder if they are territorial.